My daughter has been a huge fan of Frozen ever since we took her to the theater to watch it. She pretty much asked for only Frozen things for Christmas and recently for her 8th birthday. 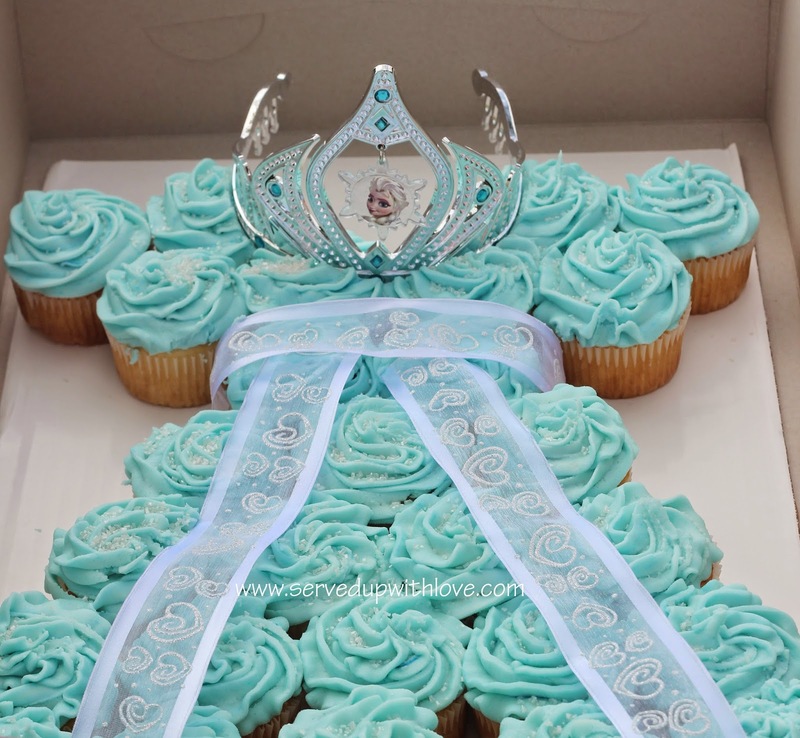 So I knew that we would do a Frozen party long before her birthday. I wanted to make her birthday special this year due to we usually have to deal with a hurricane or a tropical storm or rain. I find it so hard to plan her birthday (the end of August) because of this. 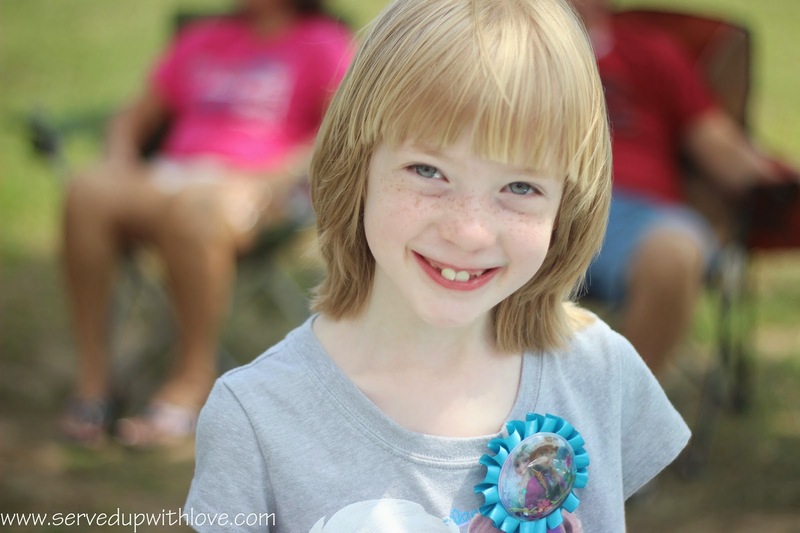 We had her party at our local town park (which is free!) and I prayed we were going to have great weather. The town park has a great playground for all the kids to play. I believe it is in the works to put in a pavilion and hopefully more picnic tables. Right now there are only two and the party that started before ours took both of them. We brought a folding table and grabbed a couple park benches around our area. We made out just fine with that and some of the guests were prepared with chairs. The trees are small with the exception of a couple. We had the smaller of the bigger trees, it offered just a little shade. It was hot but we had a great time and she told us later that it was the best party she has ever had. 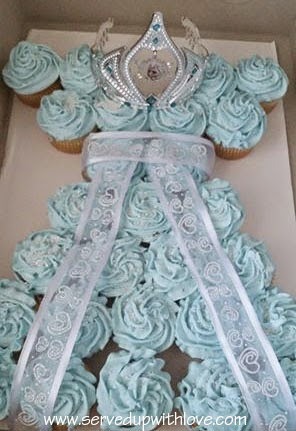 The first time I heard about this cake idea was at the pediatricians office. The nurse said she was doing this for her daughter's party. I knew that I had to make this. It turned out so professional looking. Mind you, I am no professional cake decorator. This is made with boxed white cake mix and I made the Wilton's Butter cream icing recipe. I tinted it ever so slightly so it would not be too blue. A little goes a long way. The crown was purchased at a local party store. It was located with the Halloween costumes. She can now wear this on Halloween because she wants to be Elsa. 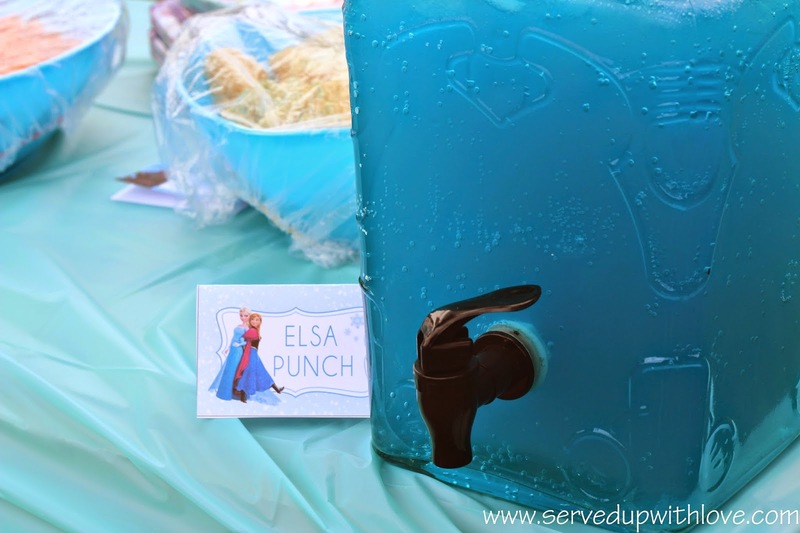 What is a party without punch? The kids loved being able to fill their own cup and kept coming back for more. Combine the Hawaiian punch with lemon lime soda. I added ice but it melted very quickly in the heat. You could also freeze some of the Hawaiian punch in ice cube trays and add so it doesn't get watered down as it melts. Cut the shapes out of the watermelon and set aside. 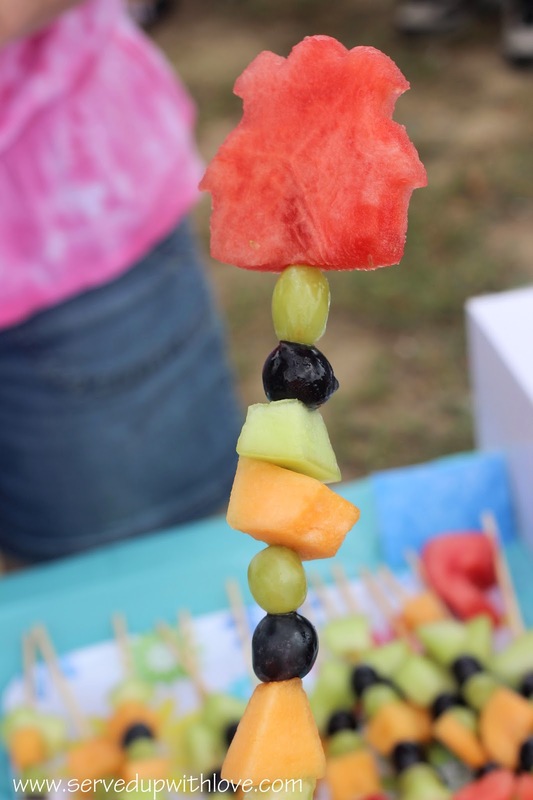 Place the fruit onto the skewer and then add the watermelon cutout to the top. You can also keep the pointed end down and place a grape over the pointed end. If so, place the cutout on first and add the rest. It is easy to push the fruit on with the pointed end. I only made a certain number of wands so I wanted to make a celebration salad if they wanted more fruit and also for the adults. You really can't go wrong with fruit. 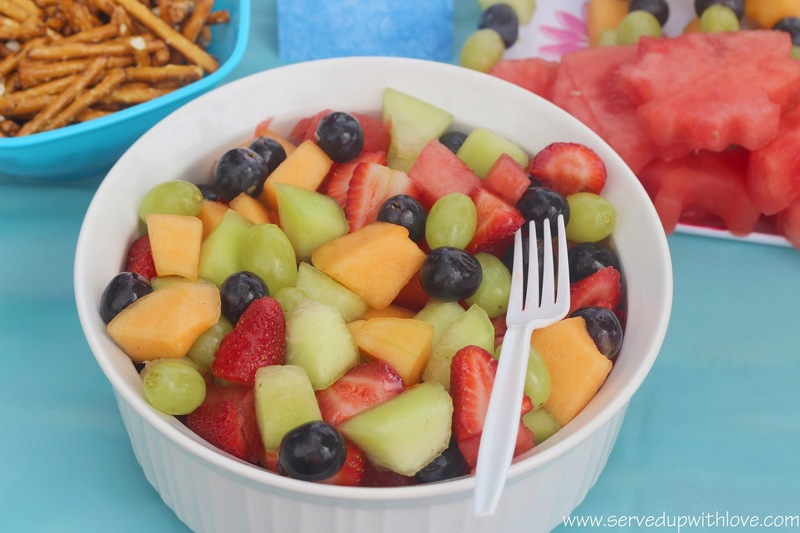 Try this Honey Lime Fruit Salad if you want something a little different Recipe here. I didn't do the traditional goody bags so I wanted to have something to hand out as the guests were leaving. 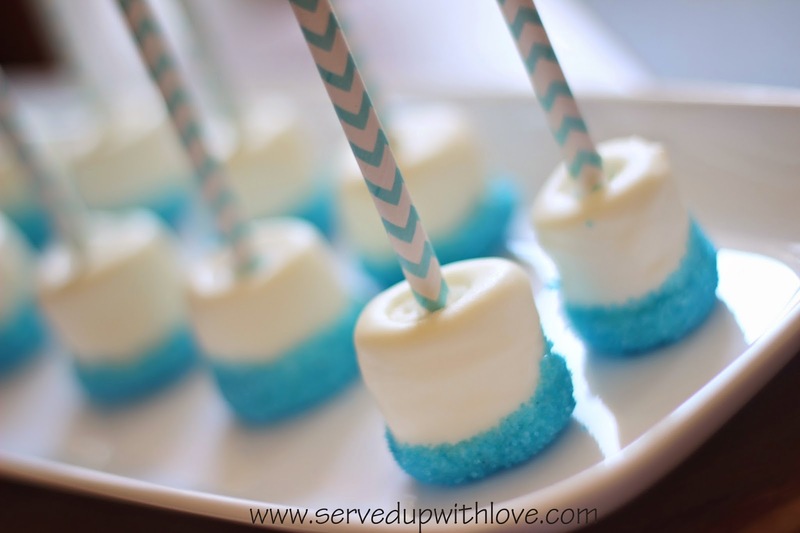 These marshmallows are super simple to make. My daughter loved helping me make these the day before. 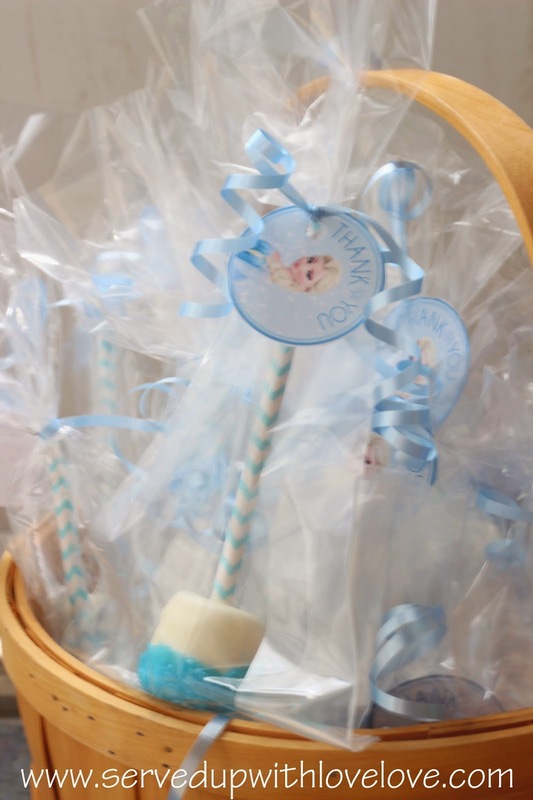 The sticks are cake pop sticks. 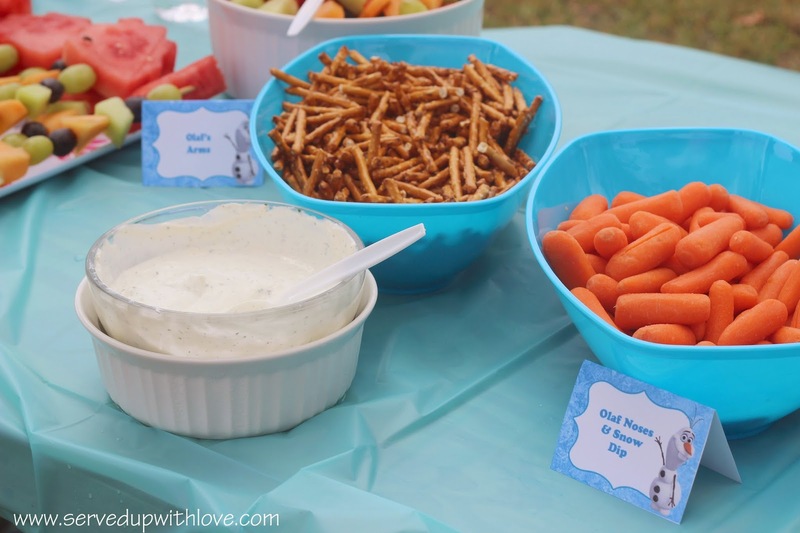 You can use lollipop sticks, straws, or small wooden dowels or skewers. Go through you marshmallows, sometimes they get miss shaped on the store shelves. I try to find ones that will sit straight. That is sometimes not that easy. If you are placing these in a goodies bag it will not be noticed as much. Melt the almond bark according to package directions. Place the stick in the marshmallows, dip into the almond bark trying to shake off the excess and then dip in the sprinkles. Place on waxed paper to harden. These are wrapped in clear treat bags you can purchase at any dollar store. Tied with curly ribbon and a thank you tag. Everyone loved these. The links to the printables are listed below but you will find a wide selection of free printables on Pinterest. 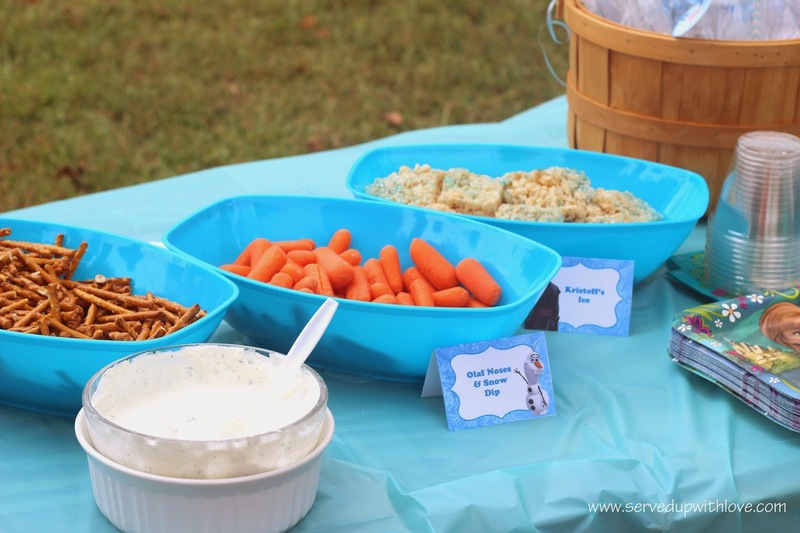 Because we found a venue to have her party that did not cost me anything I was able to spend more on the little details. She had a great time and was very happy. That is all that matters to this Moma!